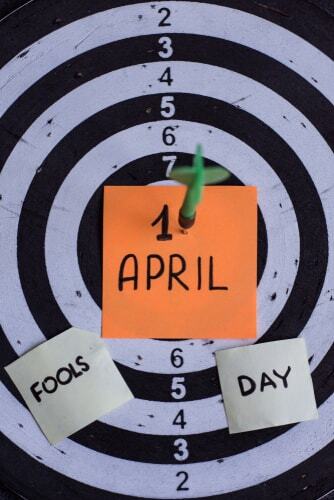 April Fool’s Day is a day that all pranksters can’t wait to celebrate. It is on this day that anyone in contact with a known mischief-maker should beware. 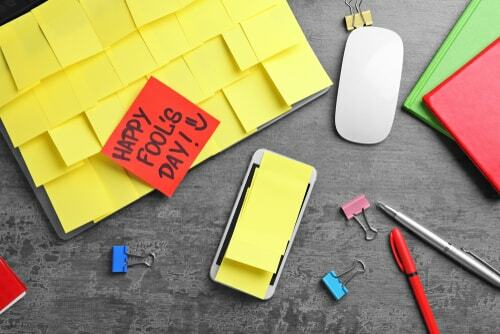 If you have been the victim of an April Fool’s prank in the past and would like to turn the tables on your tormentors this year, there are tons of great prank ideas floating around out there, especially for an unsuspecting co-worker. It is definitely to your advantage if you have never been known to pull a prank, because the element of surprise will be on your side. 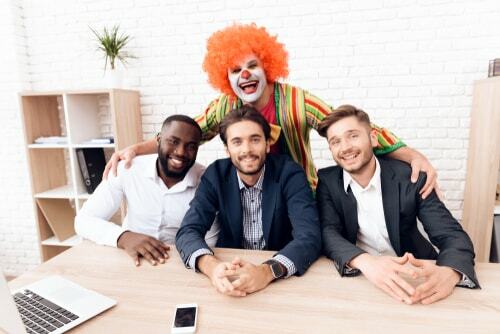 With a little bit of help and creativity you could even pull off an epic prank, earning you a spot in your office’s April Fool’s Day hall of fame. Take a look at these great ideas for work-friendly pranks that are guaranteed to bring the laughs without getting you fired. With this simple but effective prank, you can literally scare your co-worker right out of their seat. Secure the air horn under your co-worker’s desk chair with a generous amount of tape to avoid movement. Make sure that the button for the horn is placed directly against the bottom of the seat. When your unsuspecting victim sits down, the horn will blast them right out of their seat. This is not recommended for those with a weak heart or poor constitution. Otherwise, you may find yourself looking for an emergency loan to pay for a lawyer. Wrapping up every item on your co-worker’s desk may take some time, but it is a tried and true first-class office prank that is guaranteed to bring the laughs. Whether you use wrapping paper, aluminum foil, or newspaper, it does not matter, the effect is still the same. Wrap up the computer, desk chair, stapler, keyboard, phone, or anything that you can get your hands on. For an added laugh later in the day, wrap their car while they are busy unwrapping their office space. Do you have an enormous amount of post it notes with no obvious thing to use them for, why not utilize them for your April Fool’s prank at work? Imagine your co-worker walking in to find that every surface area of their cubicle has been coated in literally hundreds of post it notes. The scope of this prank will possibly require a fair amount of time and effort, so this is a good opportunity to bring in an accomplice to finish it quickly. If you are the boss or have a boss with a sense of humor, then get a little more creative this April Fool’s Day and rearrange the office. There are a few ways that this prank can be done. If you have the ability to suspend your co-worker desk and chair with rope or cables, then why not leave them hanging? If you can’t pull off such an ambitious prank, then you could try these simpler options. Either elevate your co-worker’s desk with risers, or move their desk into another room or even outdoors. Two locations that always get the most laughter are either the bathroom or in their usual parking spot. If none of these suggestions are feasible, then there are many other hilarious prank options you can find online. If you find that you need a few dollars to pull off the prank but you are already in the red and trying to get back on track financially, then consider an alternative funding source. Title loans can help with your finances, while leaving you stress-free to enjoy being the prankster you were born to be. Have fun this April Fool’s Day, and prank responsibly.